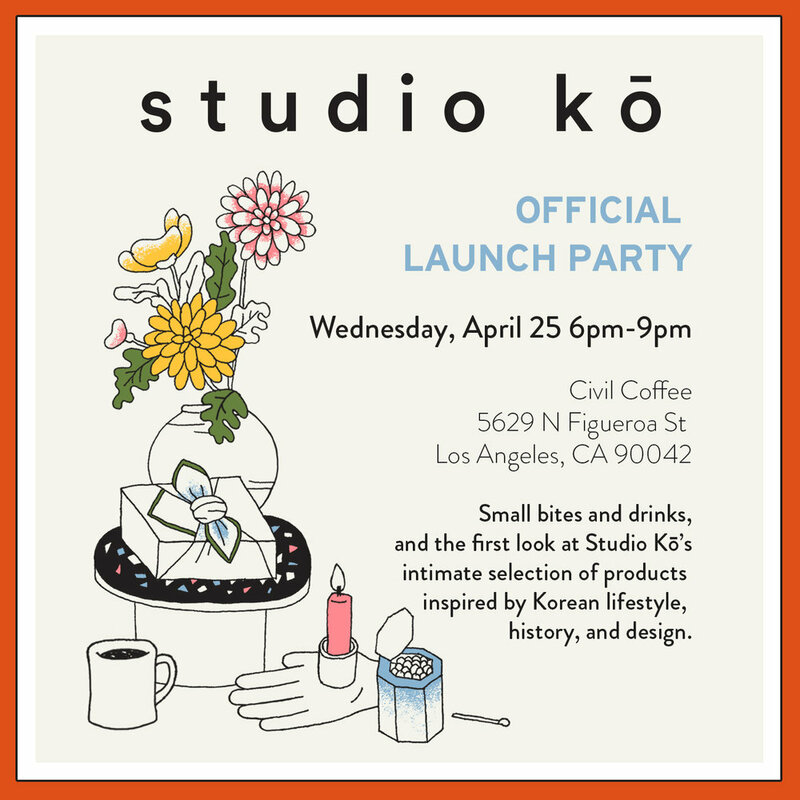 You’re invited to an early evening preview of the official launch of Studio Kō. We’ll kick things off at 6pm at Civil Coffee in Highland Park. Please RSVP below, and list any additional friends that might want to join. Who else is coming with you? Please use the main entrance to Civil on Figueroa St. Parking is available along Figueroa as well as the parking lot behind Civil on Ave 57 & Fig.